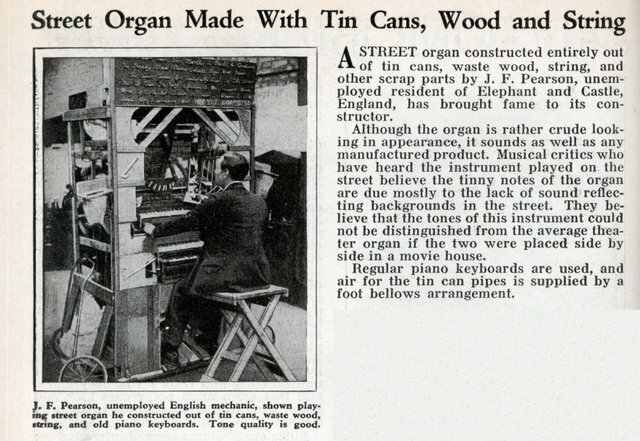 A STREET organ constructed entirely out of tin cans, waste wood, string, and other scrap parts by J. F. Pearson, unemployed resident of Elephant and Castle, England, has brought fame to its constructor. Although the organ is rather crude looking in appearance, it sounds as well as any manufactured product. Musical critics who have heard the instrument played on the street believe the tinny notes of the organ are due mostly to the lack of sound reflecting backgrounds in the street. They believe that the tones of this instrument could not be distinguished from the average theater organ if the two were placed side by side in a movie house. 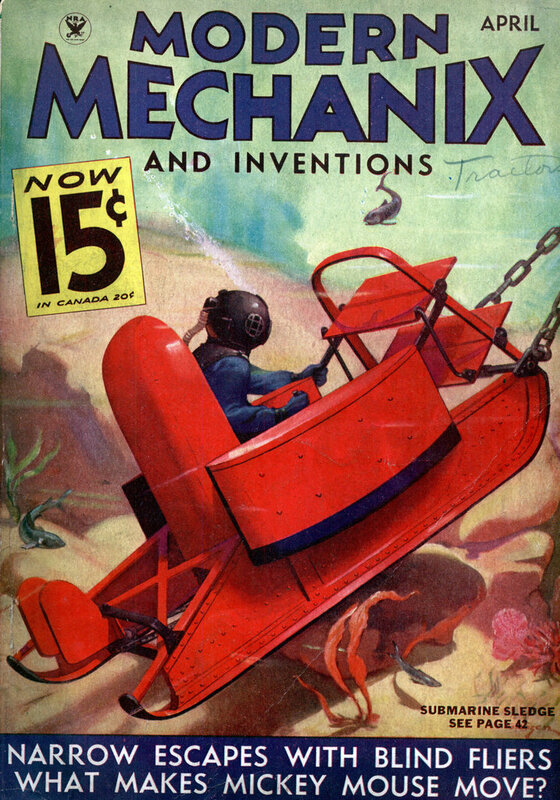 Regular piano keyboards are used, and air for the tin can pipes is supplied by a foot bellows arrangement.